How to upgrade your Zenith and Lynx outfits in Fortnite Season 7. 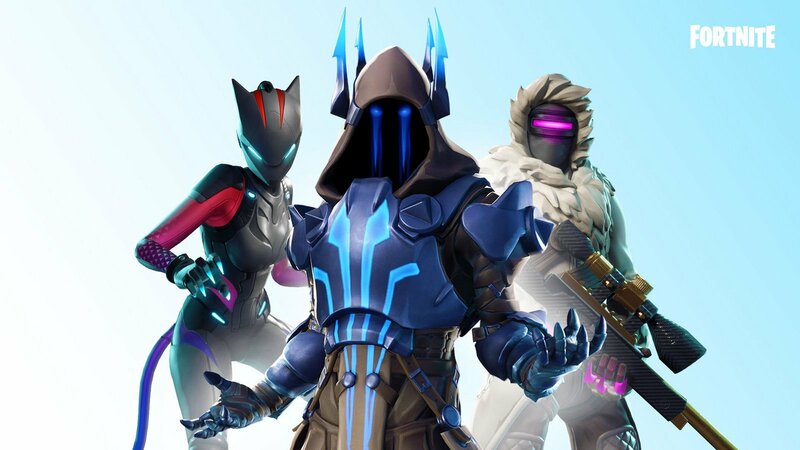 If you’re a huge fan of cosmetics in Fortnite, you may be wondering how to unlock upgrades for the Zenith and Lynx outfits featured in the Season 7 Battle Pass. For those unfamiliar, the Zenith and Lynx outfits are considered “progressive” sets. This means that – along with their base appearance – players have the ability to upgrade and level each outfit, thereby improving the outfit’s appearance. If you’re wondering how to upgrade the Zenith and/or Lynx outfit, we’ve got you covered. Below, we’ve put together a guide on how to unlock Zenith and Lynx outfit upgrades in Fortnite! To get the Zenith outfit in Fortnite, you’ll need to purchase the Season 7 Battle Pass for a total of 950 V-Bucks. When you first look at the Zenith outfit in your inventory, you’ll notice that it starts out in Base form. For more on how the Zenith and Lynx outfits work, check out the helpful video above from YouTube user KillerKingKevin. In general, there are a total of 7 variations of the Zenith outfit from Base all the way to Outfit Upgrade #6. Each variation has a different requirement from earning XP to completing Weekly Challenges. Below, we’ve listed all Zenith outfit variations and requirements in Fortnite. Zenith Base Outfit: Obtained by purchasing the Season 7 Battle Pass for 950 V-Bucks in Fortnite. Zenith Outfit Upgrade #1: Obtained by earning 20,000 XP in Fortnite. Zenith Outfit Upgrade #2: Obtained by earning 100,000 XP in Fortnite. Zenith Outfit Upgrade #3: Obtained by earning 350,000 XP in Fortnite. Zenith Outfit Upgrade #4: Obtained by completing 10 Weekly Challenges in Fortnite. Zenith Outfit Upgrade #5: Obtained by completing 25 Weekly Challenges in Fortnite. Zenith Outfit Upgrade #6: Obtained by completing 45 Weekly Challenges in Fortnite. As you can tell, the requirements to unlock upgrades for the Zenith outfit in Fortnite are pretty straightforward. Earn XP in the game, and complete Weekly Challenges to improve your Zenith outfit. In addition to the outfit, Fortnite players also have the ability to earn matching Back Bling and a Zenith Harvesting Tool by running through select Zenith Challenges. Below, we’ve listed the requirements to unlock the Zenith Back Bling and Zenith Harvesting Tool in Fortnite. Obtain Base Zenith Skin by purchasing the Season 7 Battle Pass for 950 V-bucks in Fortnite. Earn 20,000 XP to earn an upgrade to the Zenith outfit in Fortnite. Earn 50,000 XP to earn a new color for the Zenith outfit in Fortnite. Earn 100,000 XP to earn an upgrade to the Zenith outfit in Fortnite. Earn 150,000 XP to earn a new color for the Zenith outfit in Fortnite. Earn 200,000 XP to earn the Zenith Back Bling in Fortnite. Earn 250,000 XP to earn a new color for the Zenith outfit in Fortnite. Earn 300,000 XP to earn the Zenith Harvesting Tool in Fortnite. Earn XP and complete Weekly Challenges to unlock upgrades for the Lynx outfit in Fortnite. To get the Lynx outfit in Fortnite, you’ll need to purchase the Season 7 Battle Pass for a total of 950 V-Bucks. When you first look at the Lynx outfit in your inventory, you’ll notice that it starts out in Base form. There are a total of 7 variations of the Lynx outfit from Base all the way to Outfit Upgrade #6. Each variation has a different requirement from earning XP to completing Weekly Challenges. Below, we’ve listed all Lynx outfit variations and requirements in Fortnite. Lynx Base Outfit: Obtained by purchasing the Season 7 Battle Pass for 950 V-Bucks in Fortnite. Lynx Outfit Upgrade #1: Obtained by earning 30,000 XP in Fortnite. Lynx Outfit Upgrade #2: Obtained by earning 125,000 XP in Fortnite. Lynx Outfit Upgrade #3: Obtained by earning 325,000 XP in Fortnite. Lynx Outfit Upgrade #4: Obtained by completing 15 Weekly Challenges in Fortnite. Lynx Outfit Upgrade #5: Obtained by completing 35 Weekly Challenges in Fortnite. Lynx Outfit Upgrade #6: Obtained by completing 55 Weekly Challenges in Fortnite. As you can tell, the requirements to unlock upgrades for the Lynx outfit in Fortnite are pretty straightforward. Earn XP in the game, and complete Weekly Challenges to improve your Lynx outfit. In addition to the outfit, Fortnite players also have the ability to earn a new Lynx Harvesting Tool colors and a Dance Emote by running through select Lynx Challenges. Below, we’ve listed the requirements to unlock the Lynx Dance Emote and Lynx Harvesting Tool in Fortnite. Obtain Base Lynx Skin by purchasing the Season 7 Battle Pass for 950 V-bucks in Fortnite. Earn 10,000 XP to earn a new Lynx Harvesting Tool color in Fortnite. Earn 30,000 XP to earn an upgrade to the Lynx outfit in Fortnite. Earn 75,000 XP to earn a new Lynx Harvesting Tool color in Fortnite. Earn 125,000 XP to earn an upgrade to the Lynx outfit in Fortnite. Earn 175,000 XP to earn a new Lynx Harvesting Tool color in Fortnite. Earn 225,000 XP to earn the Lynx Dance Emote in Fortnite. Earn 275,000 XP to earn a new Lynx Harvesting Tool color in Fortnite. The best way to continue upgrading your Zenith or Lynx outfits in Fortnite is by regularly logging in, playing, and completing Weekly Challenges. New Weekly Challenges (as their name suggests) are posted each week, meaning that at the very least, you need to be logging in on a weekly basis. There are a plethora of ways to earn Season XP in Fortnite, although Weekly Challenges are arguably your best bet. So, have you managed to unlock upgrades to the Zenith and Lynx outfits? If so, where’s your set at currently? Let us know down in the comments below! For more on Fortnite, be sure to check out some of our previous features including the teaser for Fortnite Season 7, the new Creative Mode coming to Fortnite, and the new digital storefront from Epic Games where developers keep 88% of sales revenue. By reading through this guide, you should now know how to unlock upgrades for the Zenith and Lynx outfits in Fortnite.